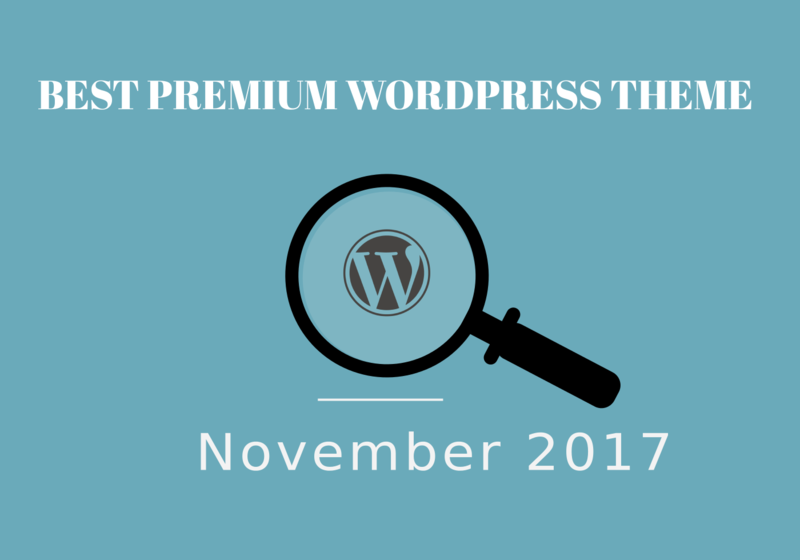 We have explored WordPress.org to find our new WordPress theme which has the premium version. We choose ten Premium WordPress Theme beautiful themes for creating multi-purpose business websites. These themes category related to business, corporate, store, magazine, news, e-commerce, cooking and fitness blog websites. The first one is our very first and new Premium WordPress Theme with a clean and modern multi-purpose WordPress theme. Aneeq is a simple, easy to use, modern, creative, user-friendly and tech-savvy and responsive Premium WordPress Theme. Aneeq has been constructed to perform at a top-notch level as a multipurpose website with deep-running customization capacities and an intuitive visual page-building process that webmasters with no previous coding experience can easily learn within minutes. Store Corner is multipurpose responsive, clean and unique Premium WordPress Theme for any Store purpose. Store Corner has easy navigated customizer by this you can easily customize the theme in just a few clicks. This theme gives you an awesome looking website just put your contents and its ready to go. Store Corner is an awesome eCommerce theme to make the shop site. Store Corner is an aesthetically pure and clean and highly customizable, professionally composed and very lightweight and fast loading, responsive WordPress e-commerce theme. Store Theme smoothly integrates WooCommerce, one of the best e-commerce plugin, to make professional and stunning stores. Corner Theme comes with an Awesome layout design that will instantly draw the attention of anyone who visits your website. It is designed with a strong focus on usability and overall excellent user experience. It exists so that you can speedily and efficiently craft powerful e-Commerce websites across all niches and markets in a matter of minutes, without having to write a line of code. People prefer online news/magazines websites over hard copy. Several news sites use WordPress: TechCrunch, CNN, Forbes, The New York Times, etc. It is very easy to add content to your magazine website if you are on WordPress. The problem comes when you need to select a free/premium magazine theme for your website. Newslite Pro is a premium magazine theme that has a beautiful design to help you start a professional looking website. It can be used for any news niche such as tech, politics, sports, games, fashion, etc. With the available features, you can optimize your website through clicks only and won’t have to write any code. The theme has a responsive design, so, the contents of your website will look elegant on any device. Best Commerce Pro is an aesthetically pure and clean and highly customizable, professionally composed and very lightweight and fast loading, responsive WordPress e-commerce theme. It smoothly integrates WooCommerce, one of theme best e-commerce plugin, to make professional and stunning stores. It comes with an eye-catching layout design that will instantly draw the attention of anyone who visits your website. It is designed with a strong focus on usability and overall excellent user experience. It exists so that you can speedily and efficiently craft powerful e-Commerce websites across all niches and markets in a matter of minutes, without having to write a line of code. Theta is a fully responsive one-page Premium WordPress Theme which has a modern design with clean lines and style. Excellent prebuilt sections can easily and elegantly display all your important content on a single page. Theta will make your online business a professional and eye-catching look. A minimalist, elegant, highly powerful, and feature-packed blogging theme. Super easy to set up and customize, perfect for bloggers from all walks of life, and suitable for all kinds of topics such as lifestyle, personal, food, fashion, or travel blogs. Elegance meets simplicity in this professionally designed and masterfully crafted powerful blogging theme. The WP Fitness is a clean and modern responsive Premium WordPress Theme that is constructed specifically for fitness enthusiasts, personal trainers, yoga trainers, weight loss geeks, and gym experts. It’s a multipurpose theme that covers businesses such as health, wellness, aerobics, lifestyle, boxing, sports, workout, muscular, physiotherapy, consultancy, and health clubs. This user-friendly WP Fitness theme has a variety of features and functionalities. The Appointment form section is a well-built functionality that adds ease to the process of making an appointment to your fitness center. It includes excellent options such as WooCommerce integration, social media integration, personalization options, testimonial section, banners with Call to Action Button(CTA), and a lot more. The theme has optimized codes which help in giving faster page load time. This SEO friendly Premium WordPress Theme makes your site rise high on search engines. Being a mobile-friendly theme, it offers responsive navigation for providing the beautiful user experience. Get this beautiful, strong and stunning theme now! Drizzle Business Pro is the premium version of Drizzle Business free theme which is a complete solution to all your business website problems. With amazing widgets, you can now create your business website in minutes. The designs are handcrafted and irresistible to look away from. Also, the theme is optimized and coded very carefully so that you will not have to worry about the performance and security of your website. To put the icing on the cake, drizzle business is also woo-commerce compatible making it easy for you to change your website to an e-commerce website too. All-Purpose is clear, easy to customize a WP template. All-Purpose is a modern multi-purpose HTML5 theme with a responsive 2 column layout. The theme is excellent for photography, photographer, newspaper, images, photos, publishing, news, blog, business, portfolio or other editorial websites. To learn more about the theme please go to the theme URI and read the documentation. Thanks for visiting and reading our new theme article. We will keep posting the new articles on our regular basis related newly launched themes by WordPress theme authors.